KRS-One Is A Scary MC But He Got Nothing But Love For His Fans! A fan recently met Hip-Hop legend KRS-One and they can’t stop talking about how nice he was to them. 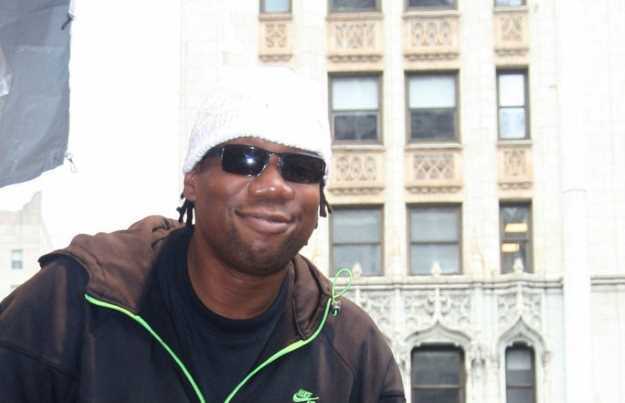 (AllHipHop Rumors) KRS-One is a legendary figure in the world of Hip-Hop music, culture and entertainment. His storied battles against MC Shan are part of the cornerstones of what we know as Hip-Hop today. Alongside his Boogie Down Productions crew, KRS-One would release "The Bridge Is Over." Many people believe that battle to be the first were two emcees verbally assaulted each other. Recently a fan would have the opportunity to meet KRS-One and they can't stop talking about the interaction. Apparently, KRS-One was really nice to the fan upon their introduction and spoke with them for awhile. According to the fan, KRS-One was "easily one of the nicest human beings I’ve ever met in my life!!!" The fan would go on to speak about how KRS-One came into the restaurant they worked in. "As famous and successful as he’s been he still always placed himself second in the conversation, as more of the listener than the speaker, and I could tell that he was genuinely listening and not just thinking of his reply or something else entirely," the fan said. After entering the restaurant, the Hip-Hop legend took pictures and spoke to anyone with questions. The waiter would later mention asking the legend for advice for aspiring musicians and stated this "sparked a 20-minute conversation about life and music and spirituality. This interaction with one of Hip-Hop's greatest emcees left the fan blown away. After parting ways, the fan couldn't wait to share the news of their amazing interaction with the legendary musician.